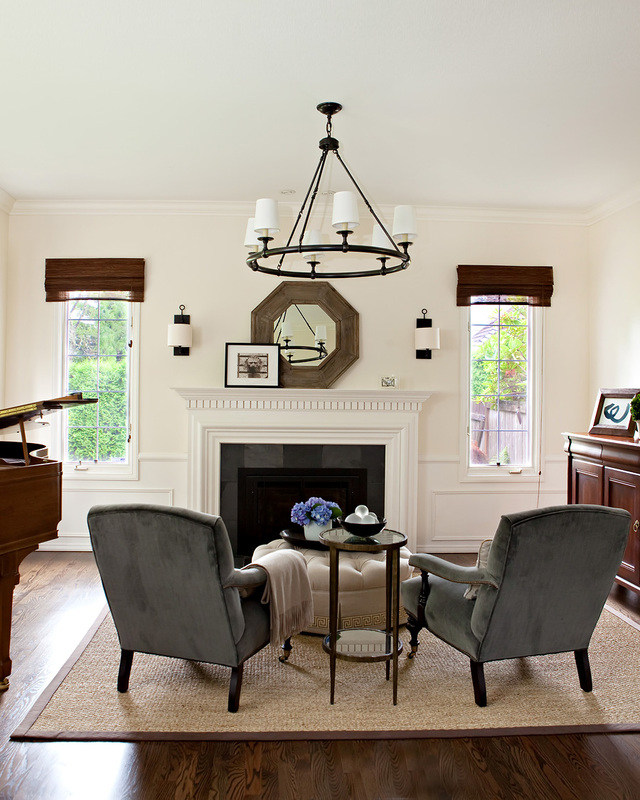 I recently completed this living room and dining room belonging to one of my favorite clients. I started working on it before Christmas and am so happy with the way it turned out. I think my clients are pretty happy with it too! The rooms were previously decorated in burgandy and gold and were in need of an update. It is now a classic and calm space for them to relax and entertain in. Remember the ottoman I showed you a while back that I had reupholstered? Now you get to see the rest of the room complete. Please note, I am not able to give sources to furnishings and accessories used in client projects as they hire me to create these spaces for them. Thank you for your understanding. If you would like help creating a home you absolutely love, email me at info@mariannesimondesign.com for more information and rates.